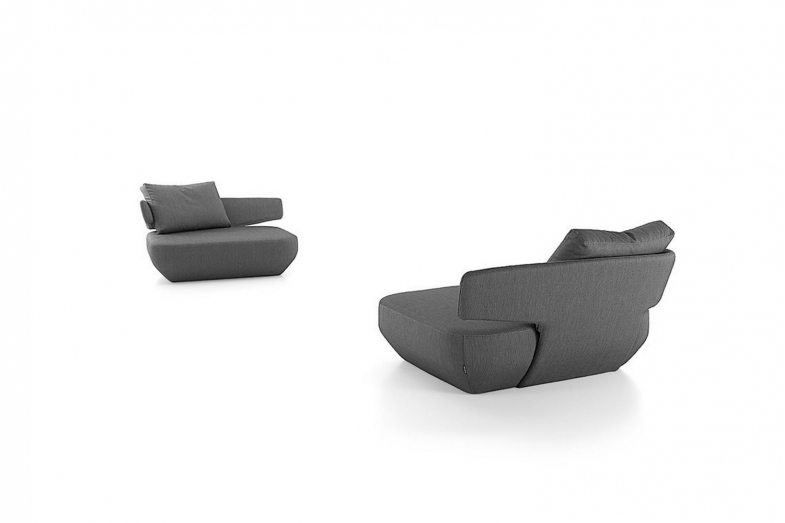 The Levitt armchair, with its striking appearance from all sides, is perfect for both domestic and commercial use. Special moulds are used to obtain the elegant curved backs. The seat is made of high-quality viscoelastic material. The cover fits the shape of the seat perfectly and is non-removable (modern cleaning technology allows cleaning the cover without its removal). Back in curved plywood and wooden base covered in non-deformable expanded polyurethane with various densities and polyester fibre. Cushions filled with sterilised goose and duck feathers with hollow siliconized fibre and anti-dust mite treatment.